Oops! Did this staffer just accidentally reveal Britain's Brexit strategy? Britain has finally revealed its elusive Brexit strategy. Or maybe it hasn't. It depends who you believe. 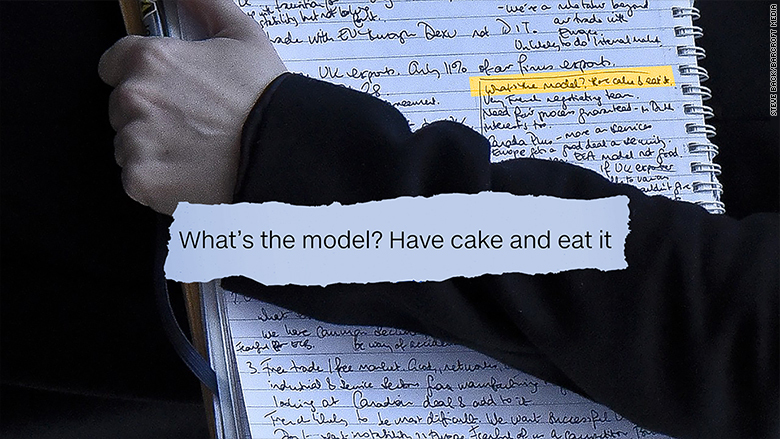 A sharp-eyed photographer snapped handwritten notes being carried by an aide to a senior lawmaker leaving the government's Brexit department. Scribbled across the page: "Have cake & eat it." Or in other words, the U.K. wants to leave the European Union while keeping all the good things about it -- such as the ability to trade freely in a market of 500 million people. Other EU states won't accept that. 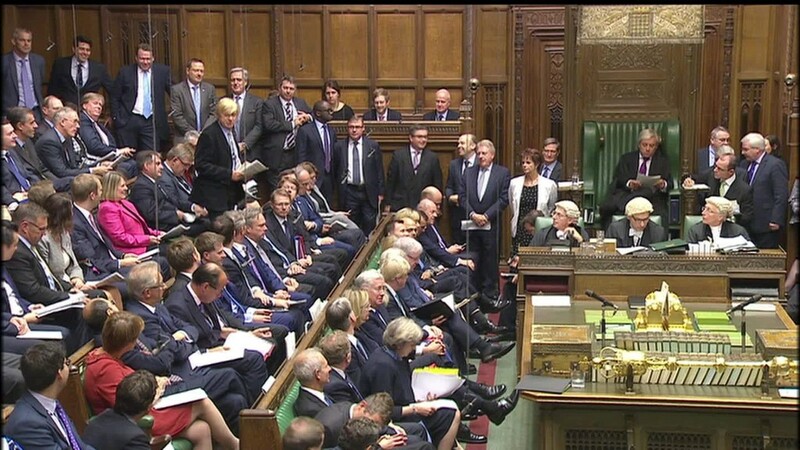 They believe Britain must pay a price for leaving to dissuade others. The government insists the notes are not related to its Brexit strategy -- one it has still not revealed. "These individual notes do not belong to a government official or a special adviser," a government spokesperson said. "They do not reflect the government's position in relation to Brexit negotiations." More than five months after 52% of U.K. voters backed Brexit in a referendum, the government has said very little about its approach to the exit negotiations. It's aiming to start talks with the other EU 27 members early next year, and wants "the best possible deal for Britain." Mark Field, the lawmaker whose hapless aide was carrying the notes, did not comment. Field is the vice-chairman of Prime Minister Theresa May's Conservative Party, and represents an area of London that is home to many banks and financial institutions -- companies that would be hurt badly if the U.K.'s access to the EU internal market is restricted. The embarrassing mishap was jumped on by British media. But the notes are thin on facts. They include a reference to the likely composition of the EU negotiating team -- "very French" -- and a warning: "French (are) likely to be most difficult." The notes also point out that the U.K. is unlikely to be offered easy access to Europe's trading block after leaving the EU, and that it might seek a "Canada Plus" trading deal instead. There's a sorry history of officials leaving government offices in Downing Street with sensitive notes and memos clearly visible to waiting journalists. In 2009, the U.K.'s then most senior counter-terrorism officer Bob Quick resigned after being photographed carrying notes revealing details of an anti-terror operation planned by the security services. And an adviser to former Prime Minister David Cameron was photographed in 2014 carrying notes that showed Britain was not prepared to impose sanctions on Russia over its involvement in the conflict in Ukraine. Another official displayed confidential notes about the situation in Afghanistan in 2011. All four photographs have been taken by the same photographer, Steve Back.